Baskets full of balls of yarn and a beautiful white Fur Ball! 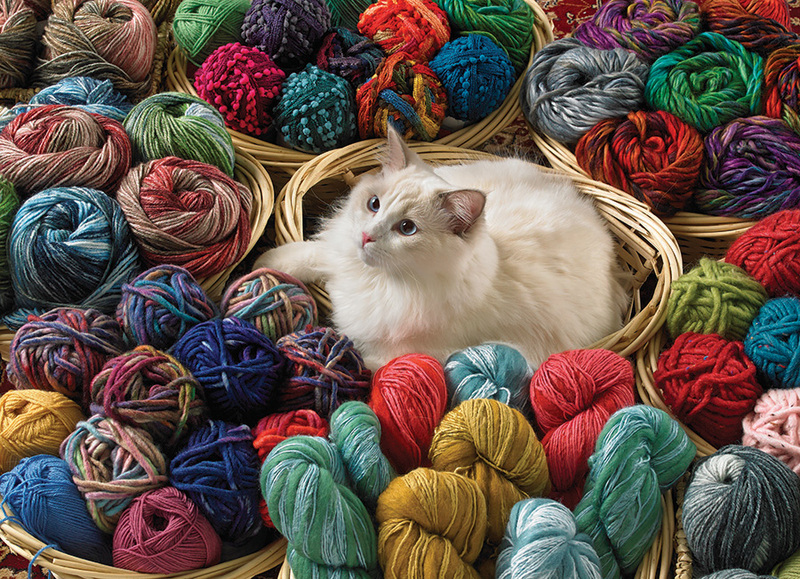 This adorable ragdoll cat has found himself a cozy little spot to knit. Item # 80072 Weight 1.61 lbs.